November 2017 – Sig Nordal, Jr. Photographer, engineer, and entrepreneur Dan Piech has long been fascinated by the possibilities of ultra-high resolution photos, spending over a decade refining his techniques. His recent work A New York City Dream is an impressive 602-megapixel composite made from 189 individual photographs of the Manhattan skyline. Taking 160 hours to create, the stunning photograph is an incredible vision of New York City, unlike any other. “I wanted to create an extremely high-resolution photographic artwork that captured the vibrant energy our city continually bursts forth with—a seemingly chaotic energy that nevertheless has structure, order, and rhythm,” Piech shares. From a rooftop in Queens, Piech and an assistant spent New Year’s Eve capturing the images that would make up this ultra-high resolution photograph of New York City. It took a year of careful color-grading and detailed stitching to put together an image that would have the look and feel of the actual skyline while achieving an aesthetically pleasing harmony. The result is an astonishing fine art image where the whole is as impressive as the individual details. From the iconic Empire State Building to the revelers celebrating New Year’s, there’s no shortage of treasures to behold within the image. Using 9,563 megapixels of data for the final 602-megapixel photograph, A New York City Dream can be enlarged to dozens of square feet and still retain its sharpness. It’s just one example of what Piech has achieved after the launch of his platform VAST Photos, which specializes in ultra high-resolution fine art photography. 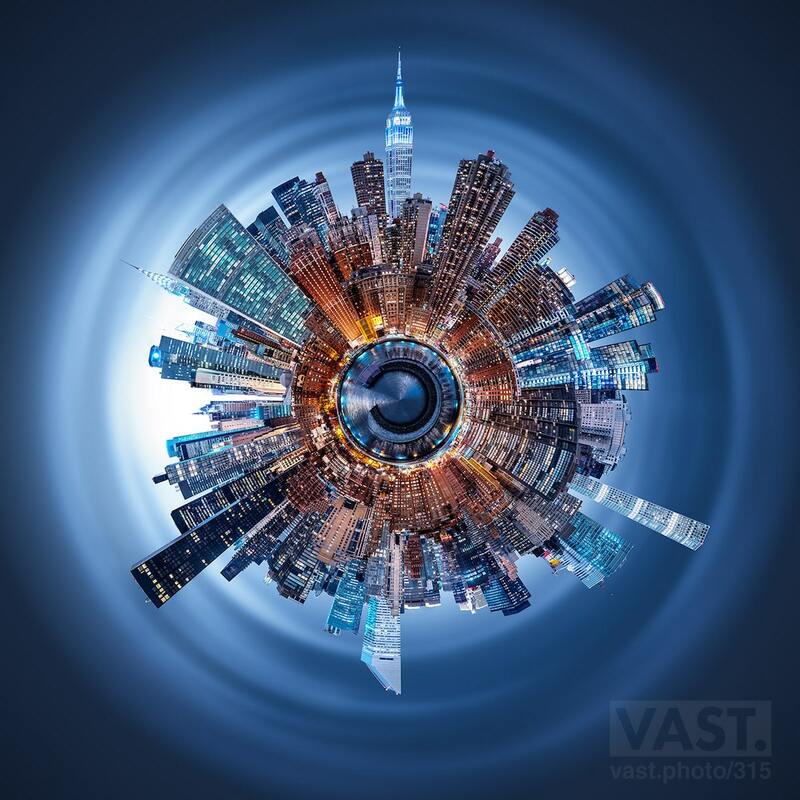 Piech launched VAST with an aim to bring fine art photographers with stunning aesthetics together with technical experts specialized in producing high resolution (1,000+ megapixel) images. VAST currently works with a roster of 11 artists who create these specialized images. Using high dynamic range imaging, focus stacking, image blending, and other techniques, these special photographs can be printed on a large scale with razor-sharp quality. Prints of A New York City Dream are currently available via VAST Photos. It took 160 hours to put together this 602-megapixel photograph of the Manhattan skyline. The ultra-high resolution photograph is comprised of 189 individual images taken over the course of New Year’s Eve. My Modern Met granted permission to use photos by Dan Piech – VAST Photos. The post It Took 160 Hours to Create This Stunning 600-Megapixel View of the Manhattan Skyline appeared first on My Modern Met. 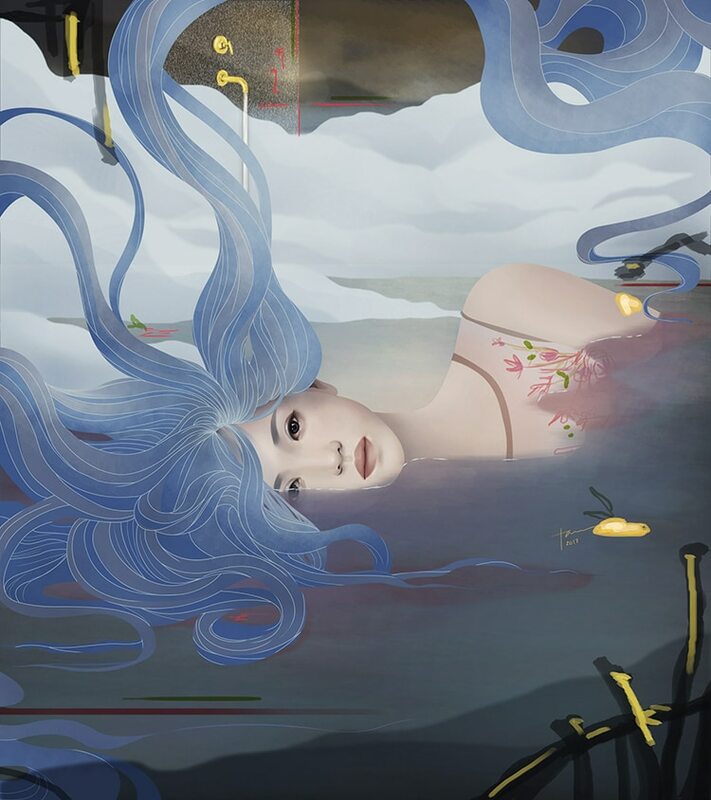 Based in Quezon City, Philippines, illustrator Katrina Taule creates colorful portrayals of mythical goddesses in surreal settings. Using a combination of hand-drawn and digital illustration, Taule’s flowing lines and expressive colors showcase her impressive skillset in fantasy illustration. Some appear to take inspiration from the Art Nouveau movement, while others have a more contemporary feel. Focused around femininity and nature, her work is often divided into series, which explore multiple aspects of a central theme. The Tea Project, for example, features beautiful women in surreal, fantasy worlds, who seem to personify different flavors of tea. In one particular piece titled INFUSE, the subject appears to brew tea from a magical guitar-like instrument. In another series—titled Enchantment—Taule explores “female enchantment in myth and folklore,” which is expressed in images like VOYAGE, where a princess-like heroine rides upon a majestic swan. You can see more of Taule’s mythical illustrations on Instagram. Katrina Taule’s colorful illustrations depict mythical goddesses in surreal settings. The Tea Project series features beautiful women in surreal, fantasy worlds, who seem to personify different flavors of tea. The Enchantment series explores enchanting females in myth and folklore. All images via Katrina Taule. The post Mythical Goddesses Inspired by Folklore Illustrated in Surreal Settings appeared first on My Modern Met. The Ramadan Affair has reopened the historical split over laïcité within the French left, but the dispute has found new grounds—about whether national identity is something fixed or evolving, about what place Muslims and immigrants have in the country’s future. These cleavages, which divide not only the French left but society in general, are something Emmanuel Macron had hoped to elude. But today, in the wake of the Ramadan Affair, Macron finds himself caught up in the return of this controversy over Islam and French identity. This time, it is neither the far right of Marine Le Pen’s National Front, nor those of the Gaullist right who emulate Sarkozy, who are winning, but an ex-Socialist who still claims to be on the left (he quit the party after the election). Valls may lack a political home for now, but he has signaled that he means to make identity—Islam vs. France—his main theme. If President Macron fails to pull the country out of its socio-economic doldrums, he will have to face a dangerously sharpened identity politics. Donald Trump has threatened “Little Rocket Man” with “fire and fury like the world has never seen”—not even seen, presumably, at Hiroshima or Nagasaki. We possess, after all, many more and much better (that is, much worse) explosives than were used by President Truman in 1945, when he incinerated those cities without Congress or the American people knowing we even had them. The fact that President Trump (“old lunatic”) has a legally absolute power to destroy Kim Jong-un (“short and fat”) over dueling insults is so scary that Senator Edward Markey and Representative Ted Lieu are trying to restrict that absolute power, so that only Congress would have the authority to declare nuclear war. This seems not only reasonable but constitutionally necessary. The Constitution in fact denies the president the power to declare war and reserves it solely to Congress. More than that, the framers clearly opposed the massing of power in the executive—lest it become the monarchy they had opposed with a revolution. To the Editors: A small correction to “Back from the Cold” by Christian Caryl. John Bingham was not Sir John Bingham, but John Bingham 7th Baron Clanmorris of Newbrook, Mayo, whose ancestors included the winner of a VC at the Battle of Jutland. 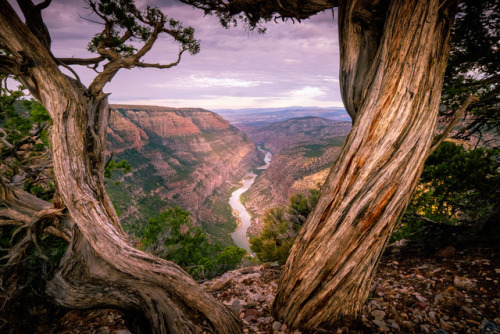 There are so many incredible sights along the Green River in Dinosaur National Monument. As it flows from Colorado into Utah, the river passes rugged canyons, Native American petroglyphs, a historic ranch and numerous fossil sites. The Jurassic fossils helped develop the science of paleontology and gave the park its name. Photo by Nancy Danna (http://ift.tt/18oFfjl). You’re reading Five Ways to Increase your Self-Confidence, originally posted on Pick the Brain | Motivation and Self Improvement. If you’re enjoying this, please visit our site for more inspirational articles. Trusting in your own judgment, abilities and personal power is the essence of self-confidence. One of my favorite quotes is from Eleanor Roosevelt, “No one can make you feel inferior without your consent.” It’s a great reminder that self-confidence is an inside job. Self-confidence can be like the weather. Some days your trust in your abilities and judgment may feel a little off and other days you may feel very confident. Hot, cold, cloudy or rainy, the weather is always changing. Like the weather, some days I wake up feeling fantastic! Other days, I want to crawl back under the covers and wait for a new day. Yes, as human beings with thoughts, emotions, and feelings, we have moments when our confidence changes. That’s life. And that is okay. Life is still happening all around. The sun rises. The seasons change. There will be traffic for most of us to consider. Your self-confidence is not controlled by the weather or traffic. These things may affect how your day flows; they don’t ultimately affect your confidence. Our lives are filled with constant images, sights, and sounds that impact even the most confident person. The 24-hour news, tweets, posts and social media notifications can also take a toll on you. I’ve learned to be in my own head and to limit the voices of others in order to maintain a strong sense of self-confidence. I am the creator of my life experiences and I will have to live with the choices I make. Just remember that you have the power to maintain your self-confidence, it is not dependent on outside forces. Breathe. Trust. – Stopping to breathe and check in with yourself on a regular basis allows you to trust your inner guidance system, your intuition. The more you practice this, the stronger your instinctive feelings become and your trust grows. Go to Bed Early – Sometimes we are over stimulated by daily living. Sleeping can be the only time many people are still or quiet. Make sleep a priority by picking one or two days of the week you will go to bed early. Rest is restorative. Be Adventurous – Make trying new things a regular practice. Buy music from an unknown singer or artist. Take a painting class. Buy something new from the grocery store. Take a different route home from work. Limit Notifications – Check your technology to see what types of notifications you have turned on. Decide which ones are most beneficial and keep only one or two active. Turn all the other notifications off. You will thank me later. Be Your Own Best Friend – Learn to enjoy your own company more than the company of others. In doing so you can take time for self-discovery, try new experiences and decide what you like and don’t like. Enjoying your own company, being adventurous and getting adequate rest are great confidence boosters. Be kind and gentle with yourself as you remember to stop, breathe and trust your intuition. Trust and believe that you have the power, abilities and judgment to know what is best for you because you do. You’ve read Five Ways to Increase your Self-Confidence, originally posted on Pick the Brain | Motivation and Self Improvement. If you’ve enjoyed this, please visit our site for more inspirational articles. The camera, just by its presence, altered human behavior. The motion picture camera changed the nature of acting. Among other things, it created that apparent oxymoron, the non-actor, the subject of an unusually rich and stimulating series now at the Film Society of Lincoln Center. Programmed by Dennis Lim and Thomas Beard, “The Non-Actor” is predicated on the idea that all camera-based movies are documents and that filmed acting is perhaps synonymous with behavior. In this sense, the first movie actors—the workers filmed leaving the Lumière factory or the family that the Lumière brothers documented in Feeding the Baby in the mid-1890s—were the also the first non-actors.